Thomas Arthur Needham passed away peacefully at Queen Victoria Hospital on Saturday, September 8th, 2018, at the age of 83, with his family by his side. Along with his wife Linda, Tom leaves to cherish his memory, his three children and seven grandchildren. Tom was a devoted family man and loved them all dearly. He was an influential part of all their lives. Tom was born in Revelstoke on March 25, 1935 and had been a life-long resident. He will be well-remembered as the co-owner-operator of S. Needham & Sons for many years. 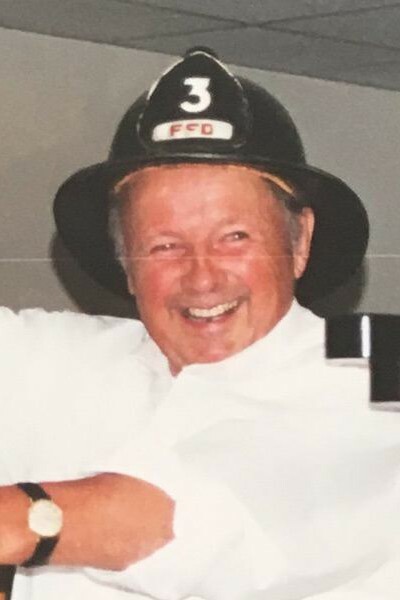 Tom was a proud 47-year member of the Revelstoke Fire Department. He was an active member in the community, volunteering many hours over the years, from spending time on the board for the ski hill to providing instructional curling classes for young adults. Tom was very social, had the gift of conversation and would talk to anyone. He was a kind generous soul and had an infectious sense of humor. He had many lifelong friends, all of whom earned Tom’s heartfelt nicknames. Tom enjoyed curling, fishing and spending time at his cabin. An Open House Celebration of Life Service for the late Tom Needham will be held at Mt. Begbie Brewing, 2155 Oak Drive, Revelstoke on Saturday, November 10th, 2018 from 1:00 to 4:00 pm. In lieu of flowers, memorial contributions, in Tom’s memory, may be made to the Revelstoke Volunteer Fire Department, P.O. Box 170, Revelstoke, B.C. V0E 2S0. Tom’s family thanks Dr. Molder, and the Queen Victoria Hospital nurses and staff for their compassion and excellent care. Many thanks to the community for their kind words, offers of support and generosity. Messages of sympathy may be sent to Tom’s family by viewing his obituary at: www.brandonbowersfuneralhome.com. Cremation arrangements are in the care of Brandon Bowers Funeral Home.